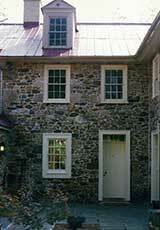 American Stone Cottages were influenced by European Architecture namely French and British Cottage design. Over time they became Americanized, with subtle changes. Cottage building took off after World War 1. Soldiers returning home from Europe loved the French and English cottages they saw and started building their version in America. 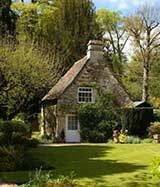 Most Cottages fall into a few design types. We have been working with the best stone masons for many years on many assorted projects. They have built the best laid dry stone walls ever seen as well as stone fireplaces. We use the same masons on our stone cottage builds. We can replicate any stone style you choose. We specialize in the dry laid look but have done all styles. Our skilled masons are able to keep a style and pattern over the entire project and we hand select special stones to fit certain areas. Many masons make a project look like multiple patterns by changing people and styles. We work to make sure that doesn't happen. 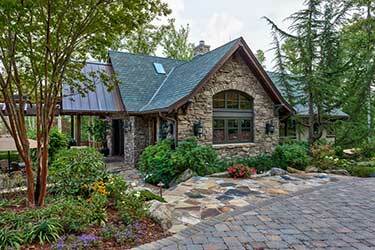 You have a choice of full thickness stone and wall or veneer. We use real stone local to the following areas. 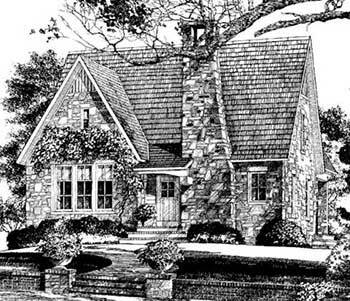 We will design/build/Fabricate your future Stone Cottage, Stone House to meet todays financial need for an energy and space efficient home. We use the latest green building technology and energy efficient mechanical systems to build a home perfect for Couples, Retiree's or for Vacation homes. Smart design doesn't need to be an oversized home with wasted space and high costs. The benefits of lower taxes, lower utility costs and less maintenance, all designed into the perfect size space for your needs. 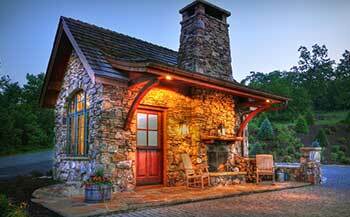 In New York we are builders for Catskill and Adirondack Stone Cottages and Stone Houses to meet the ever increasing demand for quality at a reasonable price. We are the builder known for the best fit and finish and smoothest running projects that are on time and on budget. 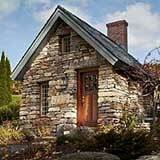 In New York we build Catskill and Adirondack Stone Cottages, Stone Houses, whether for vacation or permanent residences. Natural Stone Veneers to choose from are available in the full and thin bed depth and a wide range of colors and textures. Natural Full Wall Stone to choose from are available in a wide range of colors and textures.